Stretch Armstrong was a toy figure made of plastic, rubber and gel and was designed to expand from its ‘prone’ pose of around fifteen inches up to a full-stretch of around four or five feet. 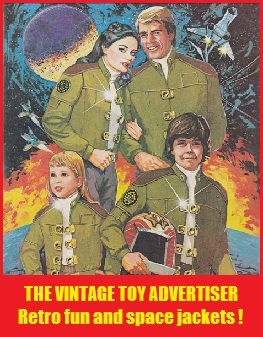 This popular toy and its derivatives was first released by Kenner in 1976 and licensed around the world by many companies such as Tsukuda (Japan), Lili Ledy (Mexico), Harbert (Italy) and Meccano (France) to name a few. 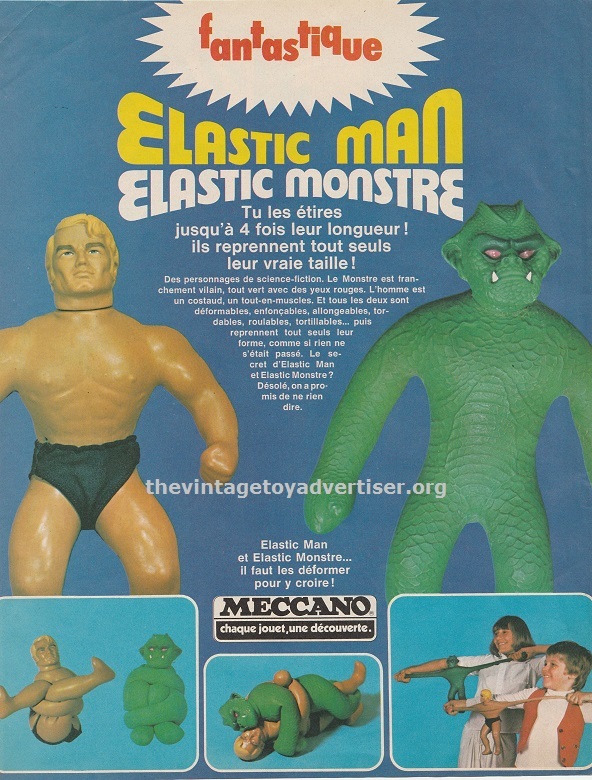 The advert below shows the French Meccano version from 1978 (Elastic Man) and also features Stretch Monster (Elastic Monstre) – one of the many Stretch Armstrong alternative figures. Feel the love or feel the pain? 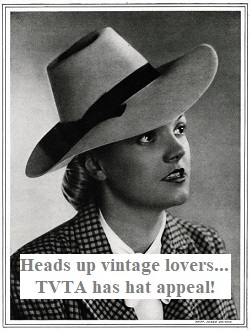 Got to love this brilliant detail pic from the main advert. 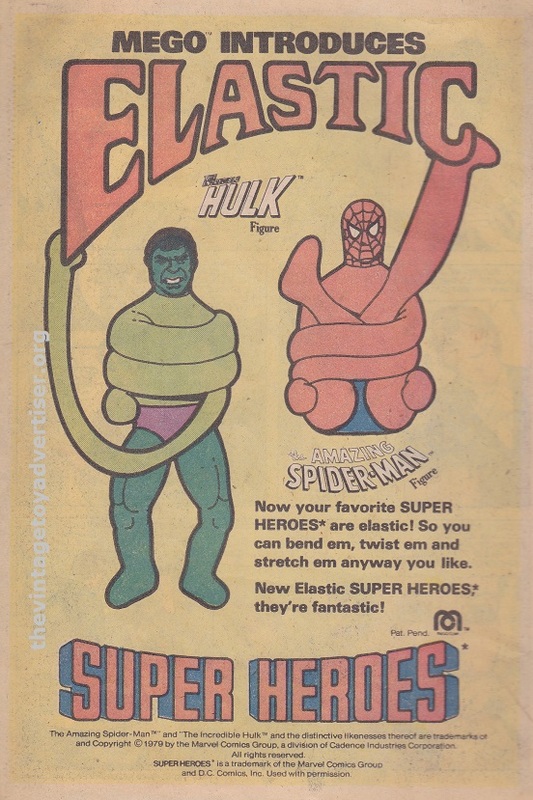 The next advert is from 1979 and features Elastic Hulk and Spider-Man – two of the ‘Mego Elastic 8’ which also comprised Batman, Superman, Plasticman, Donald Duck, Mickey Mouse and Casper. This entry was posted in STRETCH ARMSTRONG and tagged 1970s stretchy toys, Elastic Man, Elastic Monster, Mego Elastic Superheroes, retro adverts, Stretch Armstrong, Stretch Hulk, Stretch Monster, vintage toy ads on December 22, 2014 by The Vintage Toy Advertiser.